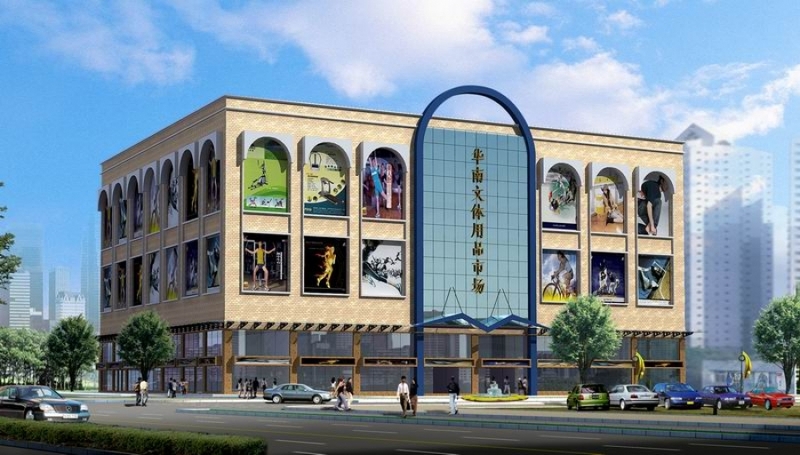 South China international sports supplies market liwan district is located in the guangzhou south road 44 courtyard, inside the east loop, belong to the old gold area, building surface Product nearly sixty thousand square meters. Market open in 1992, with operating stationery, office supplies, sports equipment, crafts, etc, was originally owner unit widely.East province textile corporation management department store on its own, since introduced in 2007 with 10 years of market development experience of guangzhou sincere and real estate Co., LTD as a war Slightly partners, market into the new stage of development. to cater for the city and the district government about the market upgraded the instructions of the spirit, the market has to raise the overall business class, equipped with elevator, central air conditioning, disappear Prevent, monitoring, broadband network facilities, provide intelligent parking lot and so on many kinds of necessary services, as well as related have high grade business hotel, also have guangzhou The bank in the market, let you really do keep the house can secure! At present, the market for many domestic and international famous brand enterprise and dealers in the field Business, in south China international sports supplies trading market for leading the style of professional market, has become the affect the entire south China region and radiation of the market group at home and abroad Body.